Remember when sock-matching meant dumping your socks on the bed, spreading them out, searching for pairs, and then rolling them up by hand? 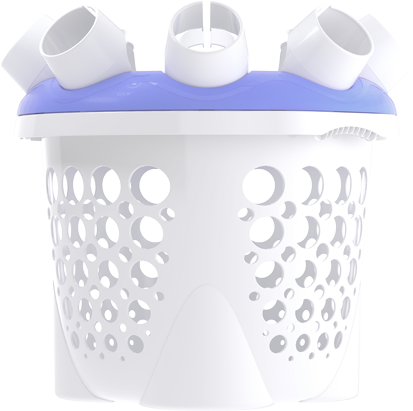 Well, now you don’t have to dread laundry day anymore; SockSyncTM is here to help! 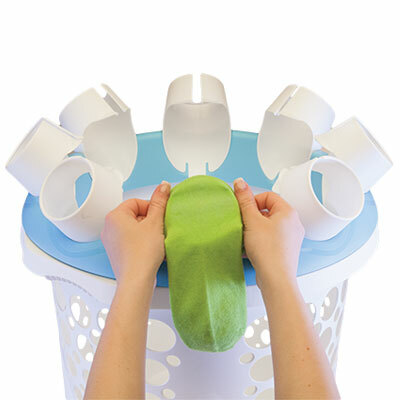 SockSyncTM combines all those tedious steps into one quick and easy process. 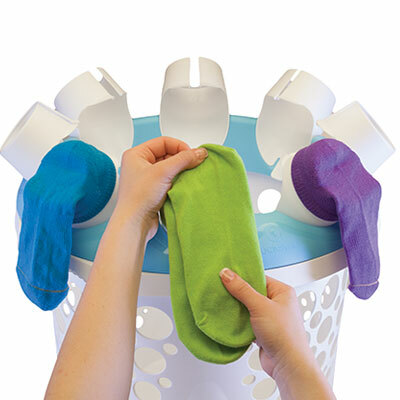 With it’s innovative and ergonomic design, SockSyncTM makes sock-matching quick, easy, and enjoyable! 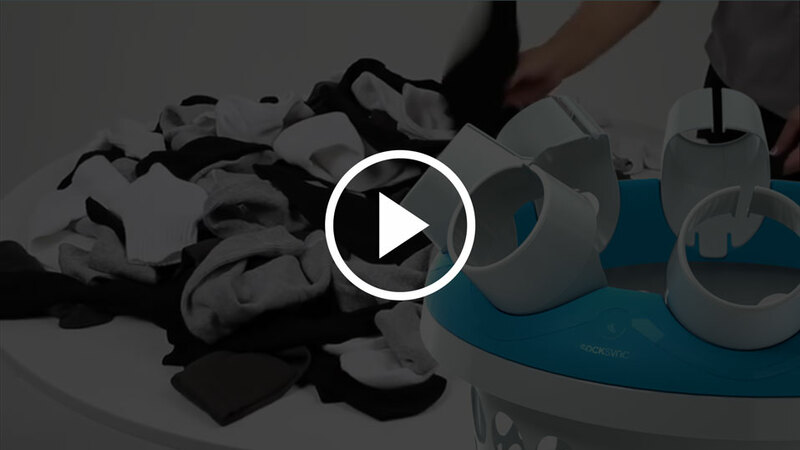 Your socks may not mind sitting in a drawer all day long, but you have better things to do. Place the match on top of the sock already attached. Fold the pair upward towards the opening. 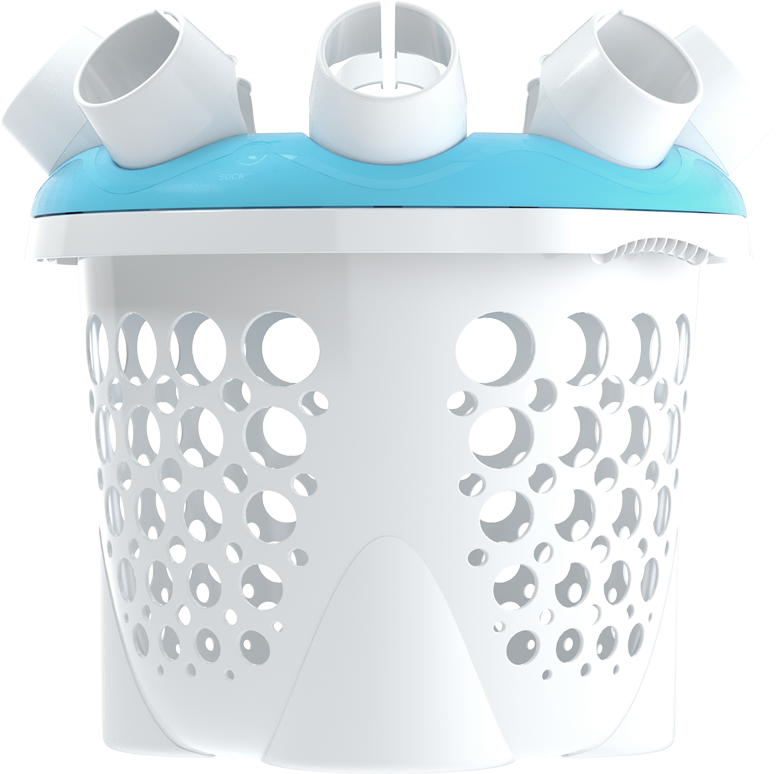 opening and into the basket. 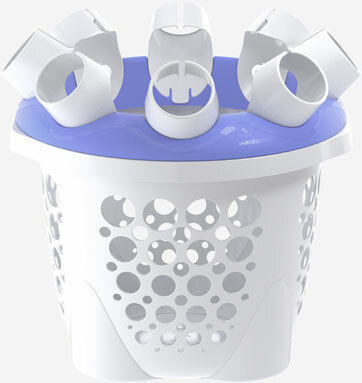 This is the laundry basket. 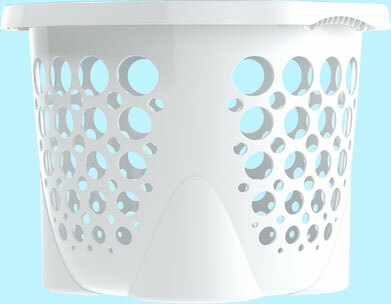 SockSyncTM comes with the laundry basket included. The average family can lose as many as sixty socks in a year. 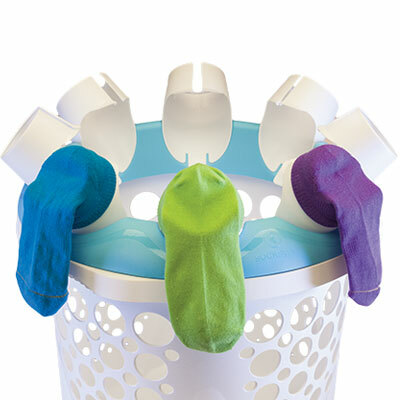 Hey, sombody ought to invent a product that sorts your socks! Three quarters of men wear mismatched socks at least once per week. In related news, over three quarters of men have trouble finding a date. 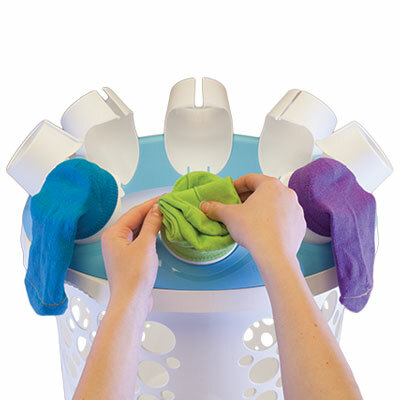 Only about one fifth of women tend to lose their socks in the laundry. 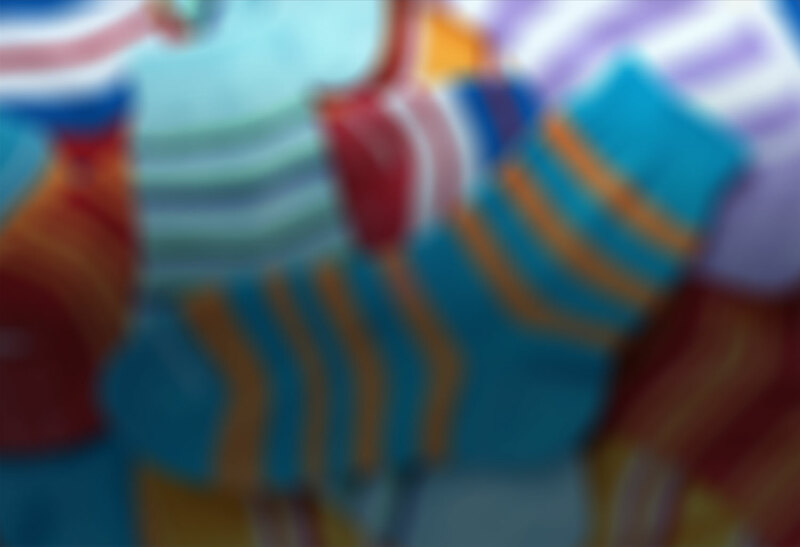 Here's a little history lesson: socks date back to the 4th century B.C. One moment you're a happily married tube sock, and then suddenly your mate is nowhere to be found. Either he just got lost in the sorting process, or he's already emptied your bank account and is halfway to Mexico. Either way, the solution is SockSyncTM. Send us a note and let us know what you think! For returns please email info@createsmart.com. Returns are accepted within 30 days of purchase.